Our primary goal is to build an efficient and flexible system which is oriented on ensuring complex requirements of the customer. 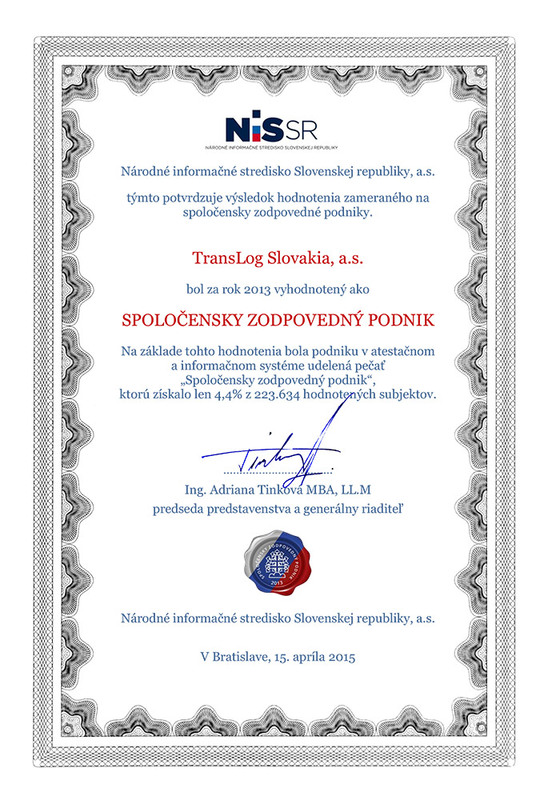 We consider the opinions and wishes of our clients as an essential element for improving our work. Based on this approach TransLog Slovakia a.s. management has decided to establish and implement a quality management system in accordance with the requirements “ISO 9001:2008″ for the continual improvement of processes and activities which brings benefit to all customers, employees and suppliers. 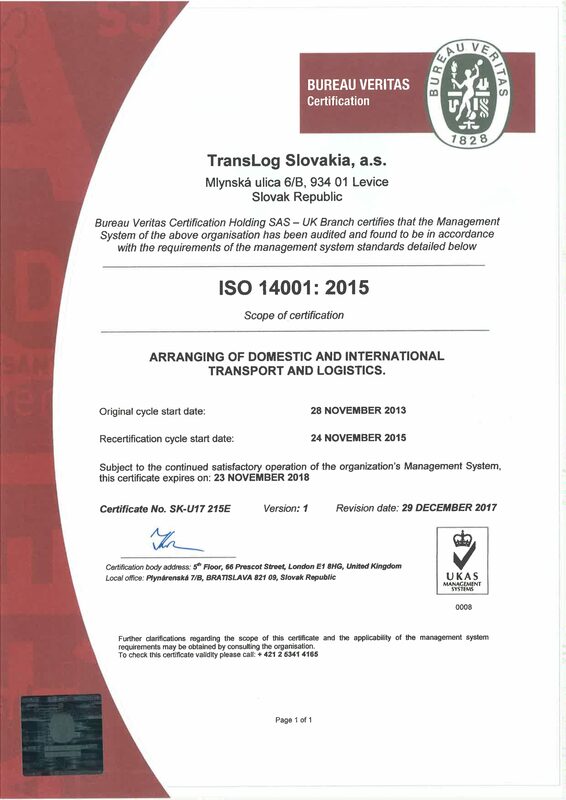 For further development and expansion of the company was necessary to implement a systematic approach oriented on environmental protection in all areas which resulted in the implementation an environmental management system in according to “ISO 14001:2004″. 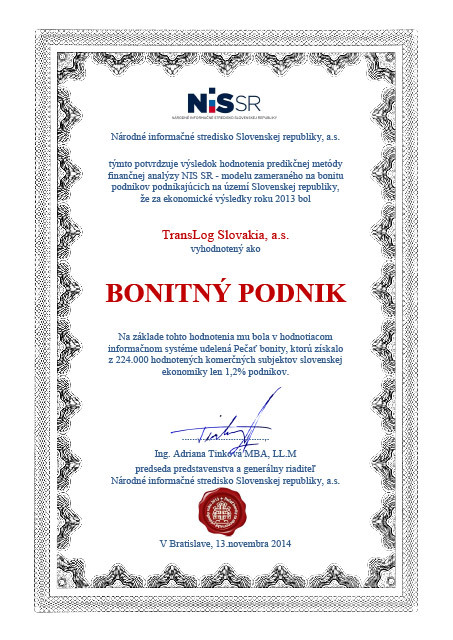 During the year 2014 our company was awarded the “Signum of credibilityprice” based on the results of the predictive methods of the finance analysis done by the national informationcenter of Slovak Republic,a.s.. Out of 224 000 assessed commercial trades only 1,25 companies was awarded. 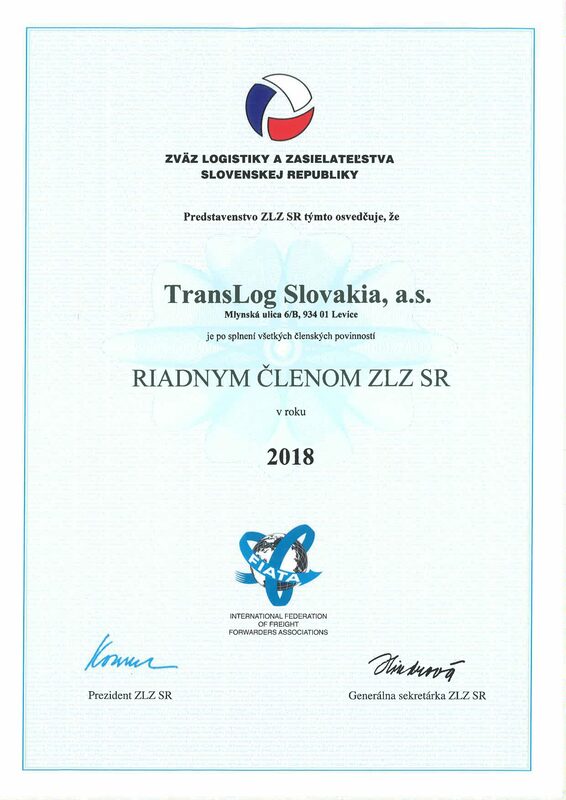 In 2014 the TransLog Slovakia a.s became a full member of the Association of Logistics and Freight Forwarding of the Slovak Republic.